It’s that time of year when couples set out to make others uncomfortable with their excessive PDA and when singles set out to break records for chocolate eaten, wine consumed and slasher movies watched. That’s right! Valentine’s Day is almost here. Can you smell love in the air? If you can’t, you should make your way to the City of Brotherly Love this Valentine’s Day — where romance lies around every Philadelphia street corner. Whether you’re looking for a romantic dinner for your first date or you’re planning to pop the question to your longtime sweetheart, check out our suggestions for top Philly restaurants that will guarantee a perfect night for you and your special someone. 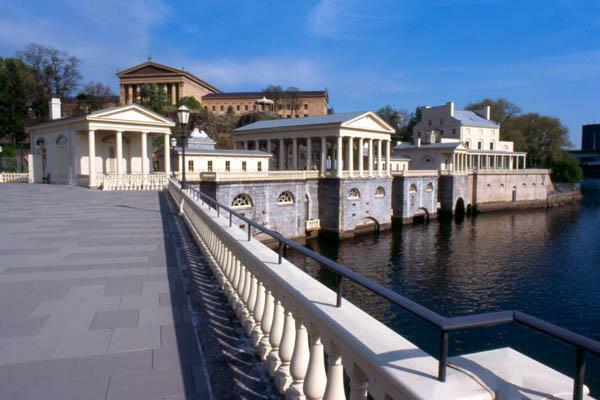 The Water Works Restaurant and Lounge is located behind the Philadelphia Museum of Art, overlooking the river. It has been called the “Best Romantic Restaurant” and is considered one of the “Top 100 Experiences in the World” according to Saveur Magazine. Enough said, right? Picture this! As you dine with the person you love this Valentine’s Day at the Four Seasons’ Fountain Restaurant, you can gaze out the window at Logan Circle’s Swann Memorial Fountain for a perfect view. Not only do you get the ambiance of fine dining and a glimpse at one of Philly’s most breathtaking attractions, but the food has earned the restaurant Zagat’s number one spot in Center City Philadelphia. Your stomach and your Valentine will thank you for this experience. Or, head down to Penn’s Landing for one of Philadelphia’s most intimate and delicious restaurants, Fork. The restaurant is located near Market & 3rd and is only distinguishable by the Fork design on the front door. It’s not easy to find, but it’s also not easy to forget; the food and drinks are to die for. Another great place for Valentine’s dinner is none other than Chef Jose Garces’ restaurant, Garces Trading Company. This award-winning restaurant focuses on creating some of the best dishes in Philly inspired by cuisines from Italy, Spain and France. Take a look at their menu! It’s sure to make your mouth water and satisfy your date this February 14th. 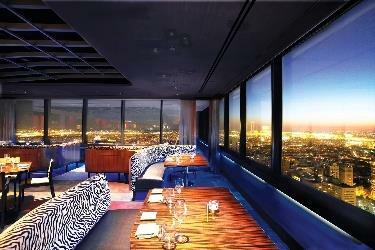 The best view of the city can be found on the 37th floor of Two Liberty Place at R2L. Make sure to call in advance for reservations – well in advance if you want a window table. Check out their Valentine’s Day 3-course dinner. Are you and your Valentine’s Day date seafood people? If so, the Oyster House is the place for you! This restaurant offers the most extensive selection of half-shell oysters in all of Philadelphia. The atmosphere is also something to be admired, with its white brick walls and central marble raw bar. The Oyster House is definitely a one-of-a-kind place to spend this Valentine’s Day. You can never go wrong with Rittenhouse Square! Rouge is perfectly situated for you and your date to have a picturesque view of the romantic park. The restaurant’s atmosphere is sophisticated and elegant, and the food will delight even the pickiest of palates. You can’t go wrong with this restaurant choice, either. 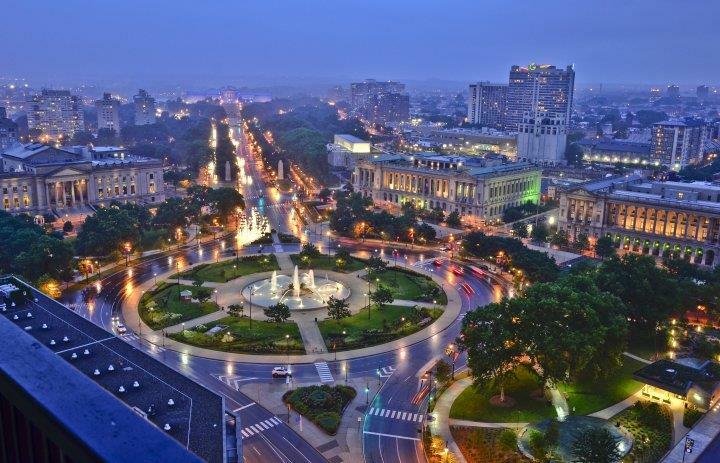 You can catch another breathtaking view of Philadelphia from 19th floor of the Hyatt at the Bellevue, at Nineteen (XIX). This restaurant has been described as “opulent” and “palace-like” by many. The dining room is decorated with strings of white pearls strung from the dome ceiling, making for a very romantic dinner. Dine with your Valentine in this scenic restaurant for a night to remember. If you decided to take my earlier advice and chose dinner at R2L, you need not go any further. The glorious view of the city is amazingly romantic. Just make sure to get a table near the window for a perfect Valentine’s proposal! If you’re hoping memorably to pop the question over dinner, another previous suggestion, the Water Works Restaurant and Lounge, has excellent views of the sunset as well as a Gazebo that overlooks the mini waterfall. Request Table 42 and I assure you, your Valentine will be pleased. If you would like to venture elsewhere after dinner at the Water Works, the Philadelphia Art Museum Steps are situated directly behind the restaurant. Dare your loved one to beat you to the top and drop to one knee once you arrive. This offers you the element of surprise as well as a gorgeous city backdrop to your proposal. Do you believe in magic? You will after proposing at the Magic Gardens in Chestnut Hill. 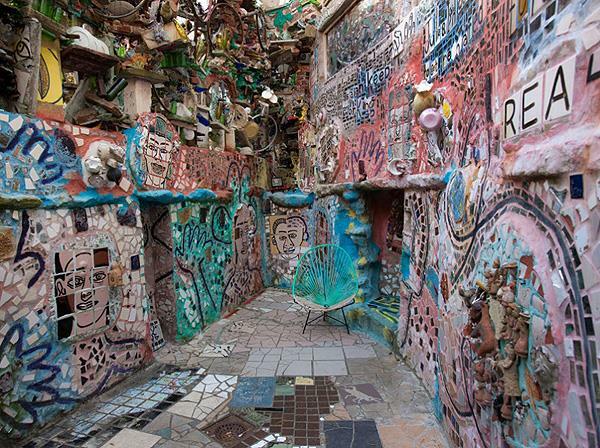 This is a maze made out of recycled glass and ceramic that is one of the most striking art exhibits in all of Philadelphia. They’re also offering Valentine’s tours that you’re bound to enjoy this February. The Whispering Wall are stone benches located at the base of Smith Memorial Arch to honor Pennsylvania’s Civil War military and Navy. Have your soon-to-be fiancé at one end of the wall while you sit on the other side. The benches are designed so that even the lightest of whispers can be heard when speaking into the wall. Just ask the question softly into the wall and wait for the excited reaction. 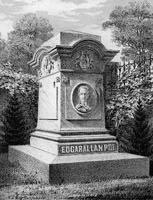 There are many statues and landmarks that come to mind when thinking about Philly. LOVE Park and the LOVE statue is definitely on the top of that list. Taking your date here after a romantic dinner not only makes for a romantic proposal, but a great photo opp as well! The Blue Cross Riverrink at Penn’s Landing offers you a fun wintery activity and a beautiful view of the Delaware River and Benjamin Franklin Bridge all lit up. You can also grab some hot chocolate and warm up by one of their fire pits. Then, when you’re all comfortable and toasty, ask the question of all questions! There is nothing wrong with keeping it simple! In fact, there are two areas of Philadelphia that will make for an unforgettable Valentine’s proposal. After having a delicious meal at Rouge or the Fountain Restaurant, take your date on a stroll through either Rittenhouse Square or Logan Circle. Rittenhouse is captivating at any time of day and perfect for a proposal. Likewise, Logan Circle is an ideal place for popping the question with Swann Memorial Fountain in the background. For all you single ladies (and gents) out there, I understand the Valentine’s Day pressure that can occur at this time of year. However, being single on Valentine’s no longer means that you have to sit at home with your chocolates, wine and cynicism. Grab your friends for dinner and dancing at the Bleu Martini or attend Howl at the Moon’s Anti-Valentine’s Day Party, Love Sux. All hope is not lost. Just remember, Valentine’s candy goes on sale February 15th and that’s a day worth celebrating! So, there you have it! With one of these dinner, dancing or proposal ideas you are bound to have a great Valentine’s night! Love is in the air, Philadelphia! The question is, where will the wind take you this Valentine’s Day? Fun Friday: Good Morning, Baltimore! 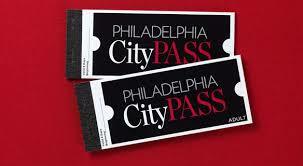 If you haven’t already signed up to win the 2 free CityPASSes that will be raffled off next Friday, it’s not too late! For details, go here. This weekend I’m alone with the kids, and I’ve been thinking about taking a little daytrip to Baltimore — we’ve been at home all week (schools closed to weather) and frankly cabin fever is setting in. Sarah’s favorite movie is Hairspray, which is set in Baltimore, so she’s excited about seeing the city! Edgar Allan Poe House and Museum. Chris is a huge EAP fan, and wants to see both the house and the gravesite, which I understand is across the street from the house. Can you recommend others? Where should we eat? Win 2 Free CityPASSES on Valentine’s Day! Winner will receive two CityPASS ticket booklets to their choice of the following destinations: Atlanta, Boston, Chicago, Houston, New York City, Philadelphia, San Francisco, Seattle or Toronto. Each CityPASS ticket booklet contains actual admission tickets to a destination’s top five or six attractions. At many sights, CityPASS booklets provide VIP access, allowing travelers to bypass an attraction’s main-entrance ticket line. CityPASS ticket booklets are valid for nine consecutive days, beginning with the first day of use. Booklets may be activated (first used) anytime between today’s date and Feb. 28, 2015. 1. Sign up to receive my blog posts by email! Then, leave a comment naming your favorite family-fun city, and name three of your favorite places to visit while you’re there. 2. 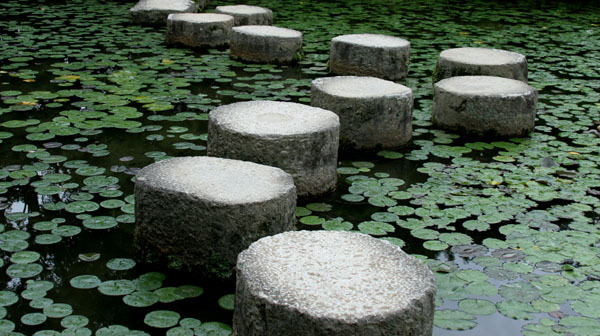 “Like” “A Mother on the Road Less Traveled” Facebook page. 3. “Share” a link to the contest on your blog or Facebook page. 4. “Follow” me on Twitter (@hsaxton). Tune back in on Valentine’s Day (February 14) to see if you’ve won! Contest closes on Thursday, February 13. Spread the word! Fun Fridays: Going to Detroit? How about Ann Arbor? Fortunately, someone already did the legwork for me! Thanks, Delicious Day! 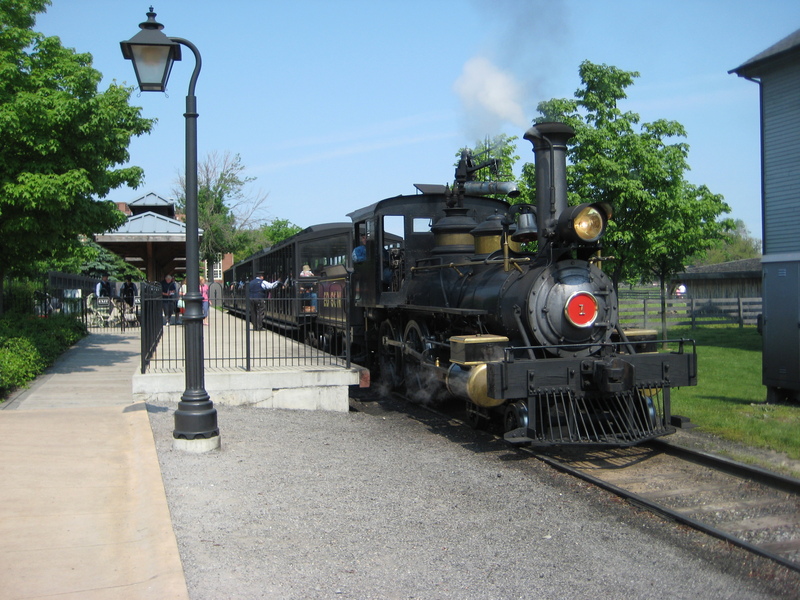 To be perfectly honest, we didn’t make it to Detroit very often apart from multiple trips to the Henry Ford Museum and Greenfield Village. We owned a membership, and always did our best to make the most of it! 1. In summertime, we like to hit the Sprayscape sprinkler park (46640 Ann Arbor Trail, east of Beck Rd). It’s free — bring a picnic! 2. 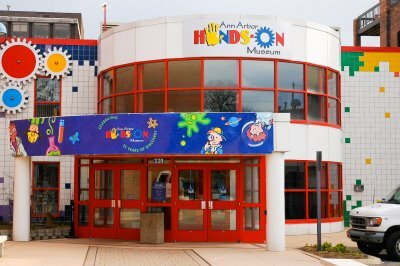 The Hands-On Museum is a fascinating day trip for kids under 10. On Thursday evenings after 5 you can get in for just $5. They have other deal days (like MLK $4 day) as well. 4. Rolling Hills Water Park was fun for a treat (they have late-day rates), but we the hiking trails were great fun anytime! 5. Buhr Park is an all-season fun zone, with swimming in summer and skating in winter. BONUS: Craig and I had our first date at Gallup Park, picnicking with Missy by the riverside. Miles of nature trails, canoe and paddle boat livery, and play areas. That doesn’t even begin to touch the many other events and activities you can find through the Ann Arbor Observer. What are your favorite ways to visit Ann Arbor? 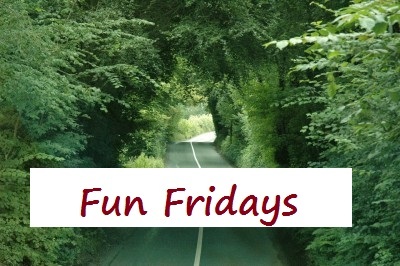 Fun Fridays: Going to NYC? Bottom line: When you’re visiting New York, stay indoors between 4 and 6 p.m.
Johnny T (and Christopher Searles) are my new favorite New Yorkers.